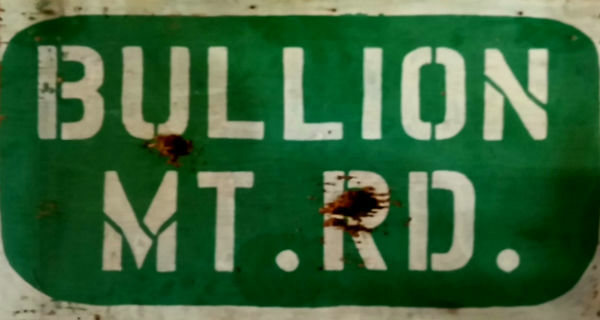 At 10 a.m., Wednesday, May 2, the Community will meet with the County to discuss possible solutions to the contaminated water at the Wonder Valley Fire Station 45. Everyone is invited and welcome to attend and participate. As if the fluorides, chromium, and arsenic weren't enough, we now have the Department of Defense telling us of possible runoffs of "perfluorinated compounds, which have been linked to cancers and developmental delays for fetuses and infants, the Pentagon has found. And yes, our base is on the list. Please read the following reports to find out more. Special Community Meeting to update everyone on “plans for Wonder Valley Fire” will be held at our Wonder Valley Community Center, 80526 ½ Amboy Road near Blower Road, on Wednesday, May 2 from 10 to noon. In attendance will be Supervisor James Ramos’ Field Representative Mark Lundquist and Chief of Staff Molly Wiltshire, along with Deputy Fire Chief John Chamberlin from San Bernardino County Fire Administration. This meeting is in response to a request by our Municipal Advisory Council representative Teresa Sitz who may be contacted at 760-367-9880 for further information. We send out special wishes to Donna and Pappy Parsons this week. Happy anniversary to you, Pappy and Donna! We also send out sincere condolences to our fellow columnist Fran Becker for the loss of her life partner. We are so sorry, Fran. Darlene’s Commentary: I am looking forward, as our Wonder Valley Community Center is coming to life once again! In the last two or three months, we’ve had some speakers and presentations that were full of useful information, and these meetings were well-attended! Keep it coming, Teresa. My “I Ching” says (in a booming voice): “Teresa – You have the gift of connections and follow-throughs!” Darn it, I think I missed my gift – hey, wanna trade for a fulgurite? Karen’s Commentary: Well, Dar has a short commentary this time – will wonders never cease? So I get to fill up the rest of the column. Today I’m donning my Proud Grandma hat, this time for grandson Austin. He raced in the San Felipe 250 a couple weeks ago, which includes everything from paved roads (very few) to cow paths, plus climbing and descending mountains, and every kind of terrain imaginable. There were nine teams racing in the Pro Moto Unlimited Class that Austin races in, and his team came in third! The race was 321 miles long, and Austin covered 120 of those grueling miles. We are so proud of him, and so happy that he finished with no injuries, even though he went through a fence and almost crashed! By the way, this “little” race had 254 total entries from 25 U.S. states and 10 countries! Handy Hint: If you’re having trouble opening a lid, wrap a rubber band (the thicker the better) around the lid and twist. This should improve your grip enough to open the lid. It might also help to wrap a second rubber band around the bottle or jar to improve the grip of your other hand. 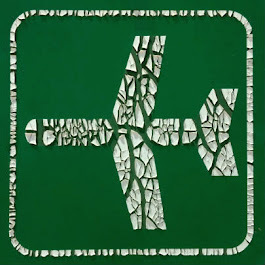 Today’s Thought: Putting something in a safe place doesn’t mean you can find it again when you need it! 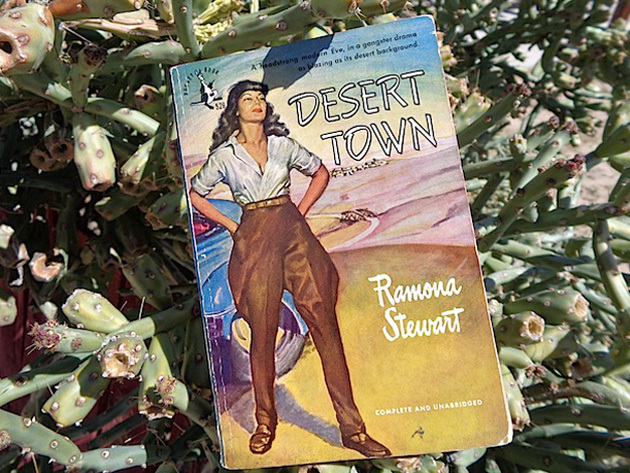 The 1946 novel Desert Town by Ramona Stewart has brothels, car chases, gangsters, cowboys, crooked cops, a love struck teenage girl and tons of thinly veiled homosexuality. What more could you ask for? Well it was also made into the film noir movie Desert Fury, shot in Technicolor, with a very young Burt Lancaster in 1947! Come join us at the Glass Outhouse on Monday, May 7th at 7:00pm where we will discuss the book and watch the movie outdoors when it gets dark enough. There seem to be quite a few used copies floating around online. I think the cover art on my Pocket Book is fantastic. Elections will take place to select a new Secretary/Treasurer with Mary Quamme's impending retirement. Minutes will be read and set for approval, along with the financial report. The president will give a brief report, and then, comments and issues will be received from the attendees to help build an ongoing agenda. 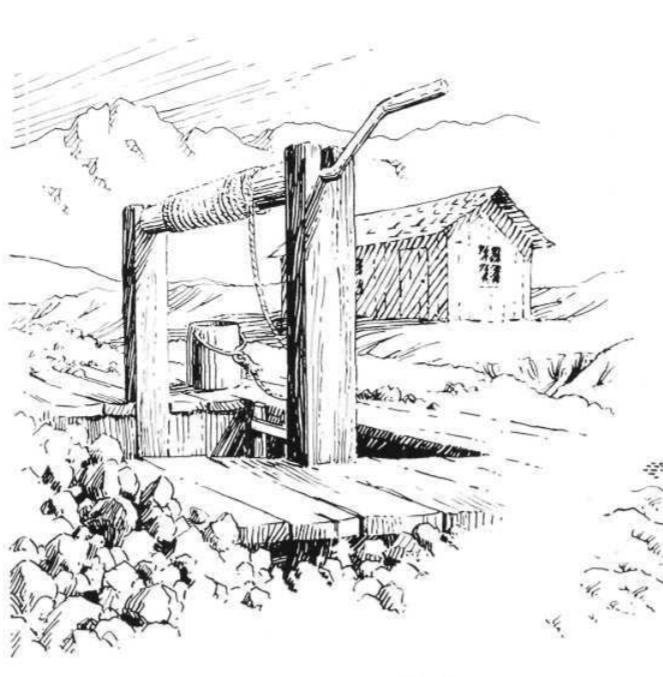 All well owners in Wonder Valley are encouraged to become members, and the annual dues are only $5.00. Meetings are held twice a year in May and in November. Notes from previous meetings have been posted. Sorry for the delay. I made the notes for February 14 a long time ago, but forgot to post them. Discovered this when I posted the other meeting notes today. Agendas and notes are listed under the [ MAC ] tab on the top menu of this site. Once there click on the first link and you'll be taken to the agendas and notes of all the meetings we've ever had. Saturday, April 21 at 4:20 p.m.
Lanny Swerdlow, RN LNC, who presented to the Community of Wonder Valley last year on Medical Marijuana, is back this year for a followup. Like the San Andreas Fault, the cannabis paradigm has shifted. Cannabis legalization has a taken firm hold in California with farmers cultivating, companies manufacturing, and dispensaries opening in locations throughout the state for all persons 21 years or older. 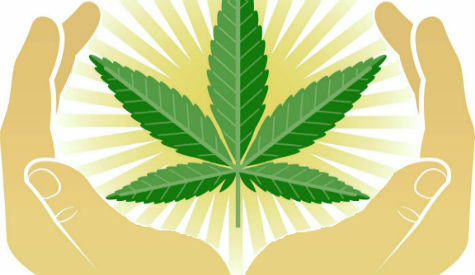 What this all means to you will be explained at 4:20 p.m., on Saturday, April 21, at the Wonder Valley Community Center, by Inland Empire cannabis law reform activist Lanny Swerdlow, RN LNC. With a brief look back at the evolution of California’s cannabis laws, Mr. Swerdlow will provide an informative and entertaining presentation on the implementation of Prop. 64 as it affects the individual consumer and those who want to jump into this burgeoning industry. He will undertake an examination of Prop. 64’s commercial business provisions including the microbusiness license that may be of interest to people in the area. He will also explain driving laws, laws regarding personal cultivation, the advantages of having a doctor's recommendation, and what is happening or should be happening but isn’t in San Bernardino county. How much California will be affected by the Trump Administration, and what is happening on the federal level will be discussed. Swerdlow will conclude the presentation with the latest information on health issues, including using cannabis for insomnia, depression and the opioid crisis. The 420+1 Celebration will also feature a special birthday tribute honoring Yippie living legend, political satirist, cannabis advocate, "Desert Pot Springs" resident Paul Krassner, author of countless pro-pot articles and books including "Pot Stories for the Soul." Refreshments will be served. There is no charge for admission but donations will be accepted to cover the cost of our speaker’s travel from the Inland Empire. The show follows the closing night performance of Cabaret performer, Thelma Edwards. Set in a small southern town, this play was written to commemorate the 50th anniversary of the Martin Luther King, Jr. assassination. Starring Miri Hunter in the title role, the show is a collaborative work which features a script by Hunter and Lisa Mednick Powell and an original music score by the Hi Desert bands Hunter and the Wick'd and Arroyo Rogers. 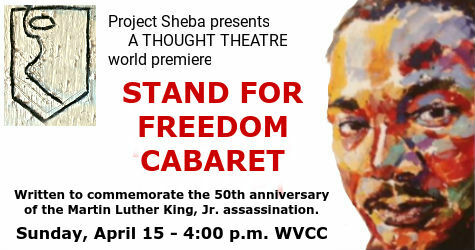 The tile of the show, STAND FOR FREEDOM, is inspired by a line from Dr. King's famous "I Have a Dream" speech. There is a $10 requested donation, but no one will be turned away due to lack of funds. 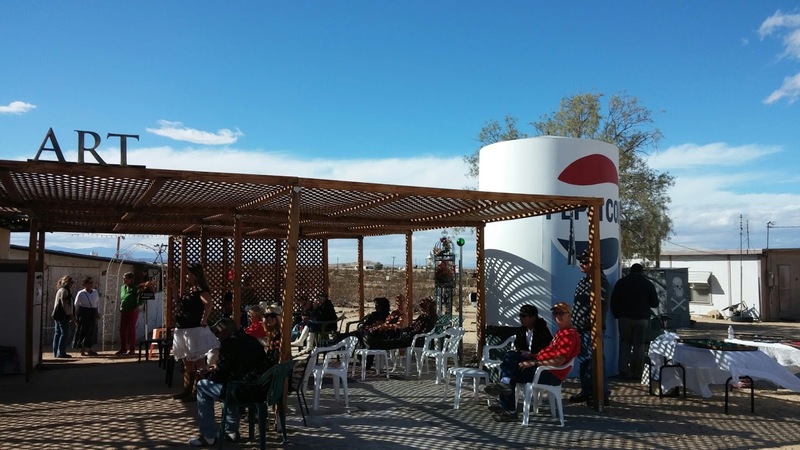 Your donations help keep the doors of the Wonder Valley Community Center open and producing important and necessary programming. Please come and support this exciting program, and enjoy live music by some of the best Hi-Desert music groups. THOUGHT THEATER, formed in 2017, was founded in order to bring productions to the hi desert that are thought provoking and entertaining, which also have the possibility of sparking dialogue between performers and community. For more information contact Miri Hunter at projectsheba@yahoo.com. I went to the MAC Meeting in Joshua Tree last night. I spoke to Mark Lundquist. He is working with County Fire to try to get us some answers regarding our situation. When he has things sorted out he’ll send me some dates and we’ll schedule a community meeting. He seemed to be saying that this will happen soon. I decided not to have an April community meeting because there is currently no news. There’s a meeting in Joshua Tree on April 26 regarding the Desert Protection Plan DRECP which is in danger of being partially dismantled. If you are interested in going, please contact me and I’ll send you the details. Thanks to everyone who submitted their surveys on the FUNDAMENTAL PLAN. This is the first step toward having a COMMUNITY PLAN. The unicomms (unincorporated communities) with Community Plans are better protected against unrestricted industrial solar development. They also warned about spoofing -- people who seem to be calling from SCE threatening to turn off your electricity if you don’t pay them, usually with gift cards. ALWAYS hang up and call SCE directly if you need to know more about your bill. NEVER pay anyone on the phone in gift cards. No legitimate business takes payment in gift cards. Luis Lara spoke on outage reports. He said they had more than 1000 outages last year due to mylar balloons. Some even brought down live wires. Mylar balloon seasons peeks between Valentines Day and Graduation Day. If you must buy mylar balloons, PLEASE, never release them in the air -- dispose of them properly in the trash. There are documented cases of desert tortoises eating the balloons, and also losing legs after becoming tangled in the strings. The Glass Outhouse Gallery opens from 5 - 9 p.m., on Saturday, April 7, 2018, featuring artists Helen Sprague and Christine Hansen. The Luminators perform live. There will be refreshments. Admission is always free.